Using some 3mm smoked perspex, mounting plates were made to hold the electronics and batteries. The mounting plates are 14cmx14cm with the corners cut off. 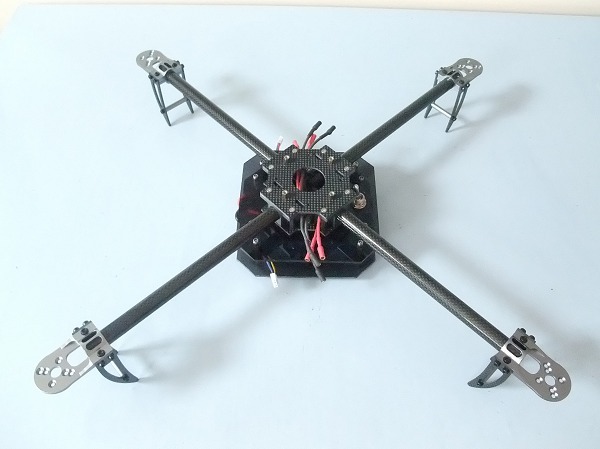 One of the mounting plates is attached to the bottom of the frame and PCB spacers are placed in specific locations to keep the batteries in position whilst also allowing for easy replacement. Some of the spacers are also use to screw on the bottom plate which holds the batteries in. 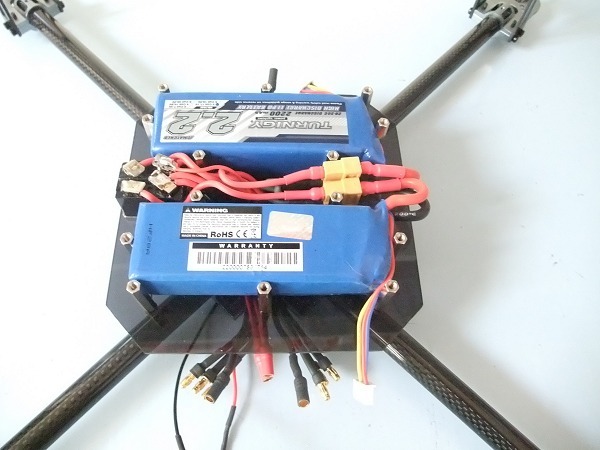 A DPST switch is the main power switch for the Quadcopter. When off, both batteries are completely isolated. When switched on they are connected in parallel to supply 4.4Ah. The power leads from the batteries have been shortened to reduce the amount of wiring that needs to be tucked away. 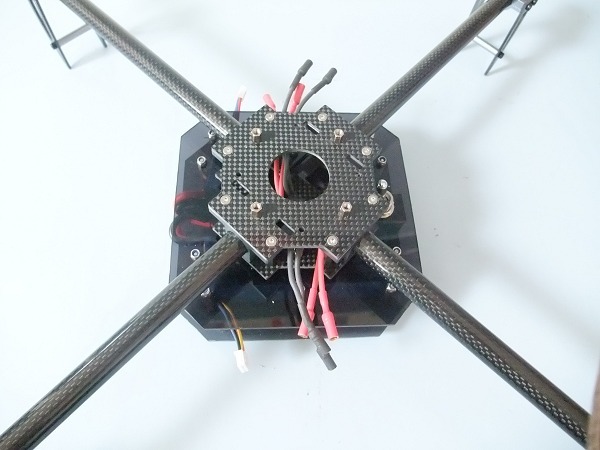 Here is a view from above showing the battery mounting plates hung underneath and the wiring. There is a red power lead and a black ground lead for each speed controller.